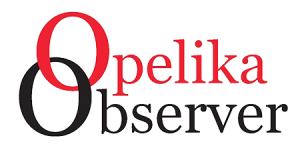 Opelika High School (7- 4) defeated Bessemer City (7-5) 42-26 last Friday in the second round of the AHSAA State 6A football playoffs. Opelika led 21-20 at halftime. Quarterback Cade Blackmon Blackmon threw a 41-yard touchdown pass to Omar Holloway, Brantan Barnett ran 18 yards for a score and Jaylen Stinson returned a kickoff 78 yards to paydirt. Kicker Baker Rowton made all three extra-point attempts. Bessemer City Quarterback Rishard Densmore scored two TDs, one on the ground and one passing. Steven Hall ran one yard for the third TD. The Purple Tigers made 2-of-3 PATs. Starting the second half leafing by one point, Blackmon threw a 42-yard pass to Holloway for their second score of the game. Barnett scored two fourth quarter TDs on runs of 12 and 13 yards. Rowton successfully booted all six of his extra-point attempts. Offensively, Cade Blackmon finished 13-of-16 passing for 198 yards and two touchdowns. Omar Holloway caught six passes for 119 yards and two TDs. Barnett rushed for 126 yards on 21 attempts. The Dawgs defense was led by Jaylen Stinson and Jaquan Foote, who both finished with seven tackles apiece. Trevon Moore and Zach Collins each added six tackles. Opelika travels to Saraland (10-1) Friday night in the quarterfinals of the 6A Playoffs. The Spartans defeated Hueytown 6-0 last Friday on the road. Coach Jeff Kelley is 71-16 in eight season at Saraland. The former Southern Mississippi quarterback and Rhodes Scholar has won 118 games in 15 years as a head coach. Kelley guided Jackson (2009) and Saraland (2014) to second-place finishes in the Super 7. Opelika and Saraland have played once prior to Friday’s game, a 27-21 Spartan win in overtime at Bulldog Stadium. Saraland won their first nine games this season: Andalusia 41-3, B.C. Rain 50-0, Daphne 27-19, Baldwin County 38-10, Robertsdale 35-0, LeFlore 42-0, Gulf Shores 46-14, St Paul’s 35-0 and Blount 20-17 in overtime. Region 1 in class 6A has nine region teams which translates to eight region games. Saraland lost 28-16 to Spanish Fort and the region title. The Spartans beat Stanhope Elmore 42-14 in the first round and Hueytown 6-0 last week. Saraland scored a total of 398 points while only allowing 105 points, an average score of 33-12. Opelika has an average score of 33-20. Kickoff is set for 7 p.m. in Saraland Friday night. Fans can listen to the game on WKKR 97.7 Kicker FM and online at kickerfm.com. Customers of Point Broadband can watch the replay starting 7 p.m. on Tuesdays. The Opelika girls basketball team is off to a hot start, winning five of their first six games. The Lady Bulldogs started the week when a 57-45 win over LaGrange. Ananda Huguley led all scorers with 17 points. Quala Walton, Haley Sanders and Kaitlyn Bryant added 10 points apiece. Huguley took three charges and recorded eight steals to lead the defense. 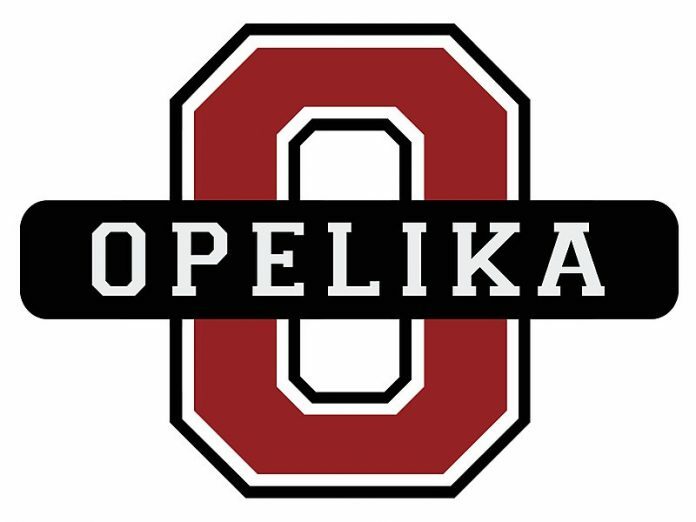 Opelika blew out Loachapoka 70-23 last week at the OHS Sports Arena. Huguley and Bryant scored 20 points each to lead the team. Haley Sanders added 17 points. Huguley scored 22 points in a 75-35 win over Northview in Dothan. Bryant and Sanders added 13 points each. The Opelika boys (2-1) split a pair of games last week. Northview slipped by the Bulldogs 80-74 in double overtime in Dothan last Monday. Taye Fields scored 18 points, Trey Boone scored 17 and Justin Love added 16 points for Opelika. The Bulldogs beat Loachapoka 77-47 at home last Thursday. Jared Willis scored 25 points while Taye Fields added 21 points. The Opelika boys defeated Troup 63-56 Monday night at home. Jared Willis scored 20 and Taye Fields added 16 points. The Lady Bulldogs also won, defeating Columbus 66-43 at the Sports Arena. The Opelika Middle School and OHS junior varsity wrestling teams participated in the Swede Umbach Wrestling Tournament in Auburn. A reminder to all local sports fans, tune in weekdays to listen to “On the Mark” radio edition, weekdays 7-9 a.m. on WTLM 1520 AM, online at wtlmam.com and search the WTLM on the iHeart Radio app. Happy birthday to my oldest baby daughter Mallory Jayne Mitchell, whose birthday is Nov. 24.